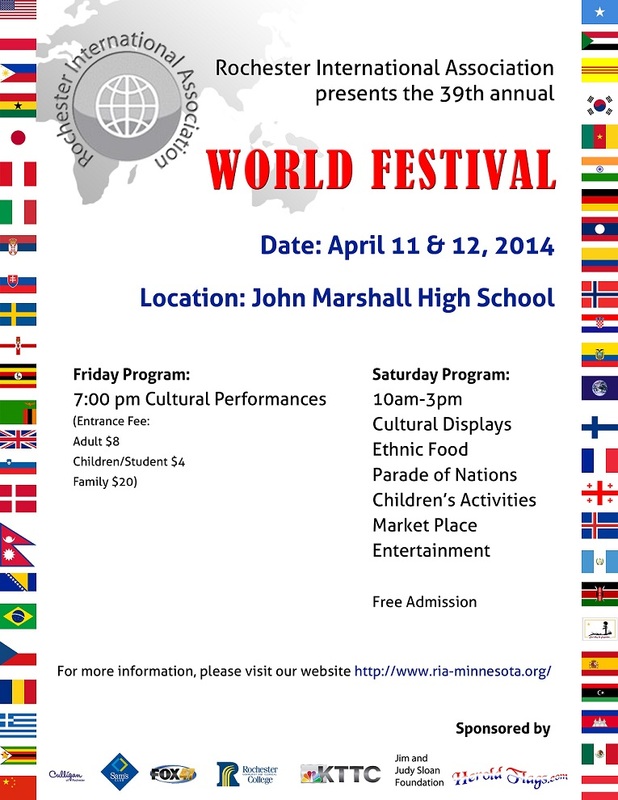 The 39th Annual World Festival has been set for April 11, 12, 2014 at John Marshall High School [map]. Friday, April 11, 2014 – 7 p.m. Admission: $4 students and seniors, $8 adults, $20 families. There will be a multi-ethnic staged show with colorful performances of music and dance displaying many cultures. Saturday, April 12, 2014 – 10 a.m. to 3 p.m. Admission: FREE. Food tickets are available for purchasing ethnic food from many countries. Enjoy activities and crafts for children of all ages and entertainment with an emphasis on audience participation. Displays are featured from many countries and from organizations showing their multicultural/international activities and involvements. Souvenirs are available to purchase in the International Marketplace. Meet your neighbors and learn about their heritage.